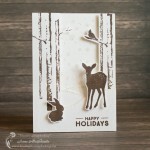 I’m happy to write a new post with this newly created card. 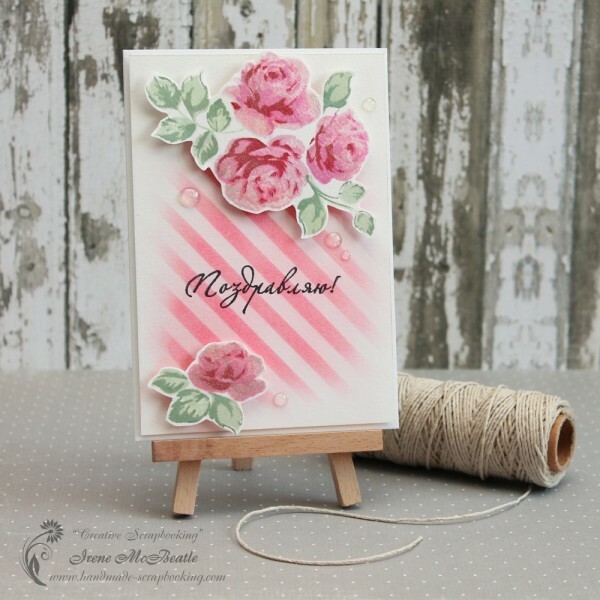 I made it using the Altenew Vintage Roses stamp set. 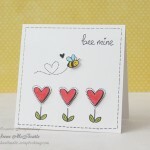 I think it is great for cardmaking. 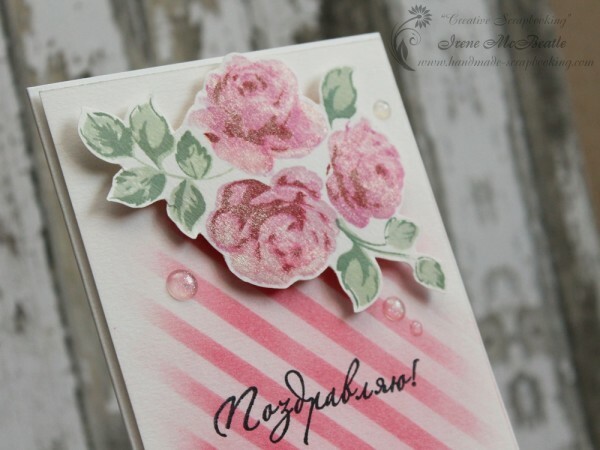 I stamped the roses with Hero Arts shadow inks. Then I cut the images leaving a thin white border. I brushed them with Wink of Stella Glitter Pen to add some shine. For the background I temporarily placed thin strips of masking paper and blended some Distress Ink over it. To assemble the card I used adhesive foam squares for added dimension. I’m participating in September Challenge: From Places Abroad-Windsor Castle at Altenew Blog. I was inspired by crimson color and sparkle. 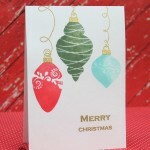 Your card is just gorgeous, Irene! Love the fading background and beautiful vintage flowers! Your card is very pretty and elegant! Love the soft colors! Thank you very much for joining the Altenew Sept/Oct challenge!